Andrew McCutchen's deal with the Phillies is reportedly for three years. LAS VEGAS — The Phillies are still in the mix to land Bryce Harper, but they seemed to provide another indication Tuesday afternoon that their first preference is Manny Machado. The Phillies made their first move of the winter meetings by signing five-time All-Star outfielder Andrew McCutchen, according to a source. The three-year deal, which is pending a physical and could be finalized Thursday, is worth $50 million and includes a club option for 2022. It does not end the team’s pursuit of Machado and Harper, but it could provide some protection in case the Phillies strike out in the superstar market. The Phillies already added a shortstop in Jean Segura in case Machado goes elsewhere. They now have an outfielder if Harper falls through. The Phillies expect to meet with Machado’s and Harper’s agents in Las Vegas and hope to host Machado at Citizens Bank Park later this month for a recruiting visit. It is all but certain that and the winter meetings will end here Thursday with both Harper and Machado still free agents. For now, McCutchen fills the corner-outfield vacancy the Phillies created when they shipped Carlos Santana to Seattle in exchange for Jean Segura and moved Rhys Hoskins from left field to first base. Once a center fielder, McCutchen has transitioned in recent seasons to left and right field. They could still elect to move one of their young outfielders and create space for Harper, but the more likely reaction will be a concerted effort to land Machado, who would likely play shortstop but might be persuaded to play third base. Segura could move to second base if Machado is set on being a shortstop. 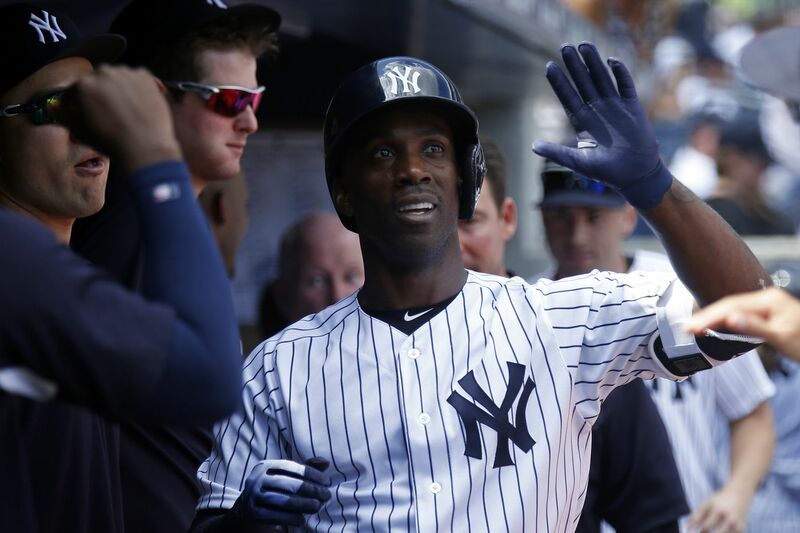 The 32-year-old McCutchen hit .255 last season with a .792 OPS in 569 at-bats with the Giants and Yankees. The 2013 National League MVP, McCutchen finished in the top five of the voting every year from 2012 to 2015. He is no longer that player, but the Phillies do not see his regression as a steep decline and expect his production to spike at their hitter-friendly ballpark. McCutchen has averaged 24 homers over the last three seasons with a .356 on-base percentage. He ranked ninth last season among all outfielders with a .368 on-base percentage and had the eighth-most walks in baseball. McCutchen’s plate discipline and his ability to reach base replaces what Carlos Santana brought to the lineup. His on-base percentage and batting average last season both were higher than Santana’s. The Phillies have long coveted Machado, who was drafted by the Orioles when the key figures of the Phillies' front office were still working in Baltimore. But as this offseason began, it was unclear whether the Phillies would zero in on Machado or Harper. They had needs at both players' positions. Klentak said Tuesday that he would not “telegraph our intentions.” Adding McCutchen was not a telegraph, but it might have been a hint.